If you're a frequent traveler like me, you've probably spent time researching the perfect suitcase. Just this year alone I've traveled all over the United States, Cuba, China, and Japan. I need a suitcase that can handle being thrown around from bus to train to plane, yet keeps me organized. I recently tried the Victorinox Etherius Metallic suitcase and it was exactly what I'd been searching for. 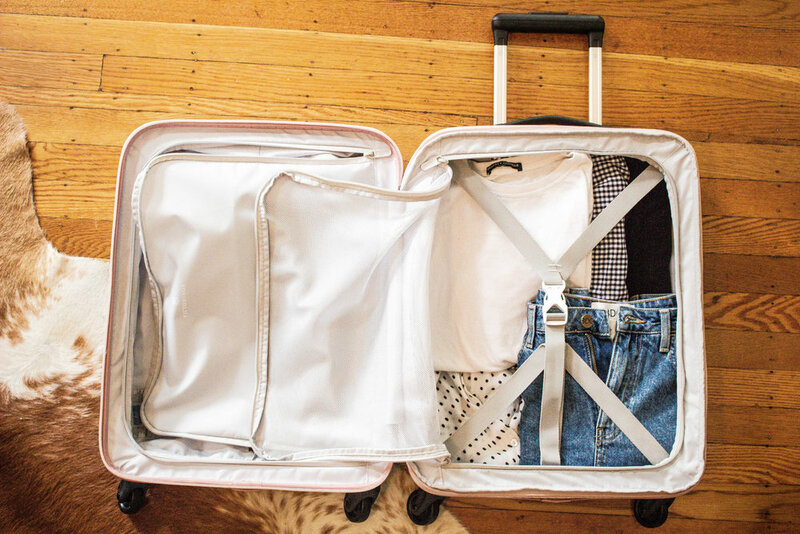 In this post, I'm sharing with you the top 5 reasons why I love this suitcase and some TBP tips to avoid overpacking! 1. There's a size and color for everyone. This collection comes in 3 sizes and 5 different colors. 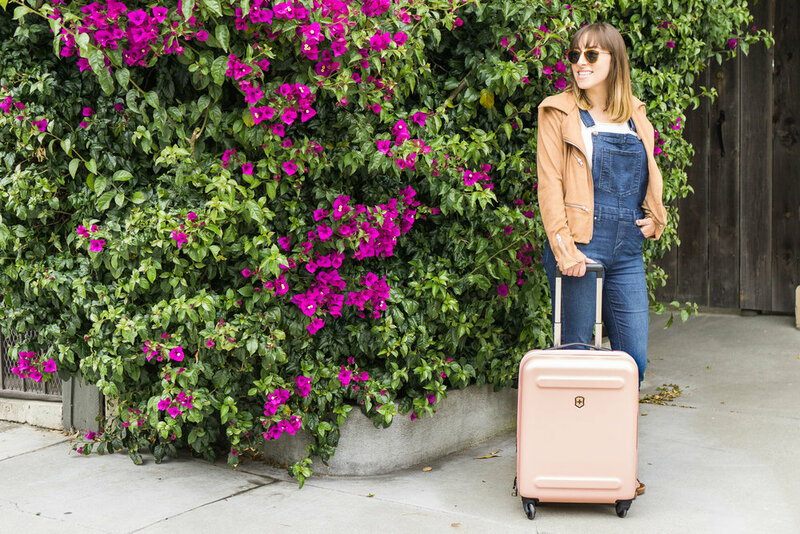 I chose the carry-on to use for my upcoming summer trips and the rose gold color because I'm a strong believer in rosè all day. 2. It's durable yet lightweight. I always travel with a hard suitcase to protect my items, but it's not always easy to find one that's also super light. This Victorinox is really well made but also easy to carry up the steps! 3. It keeps me organized. 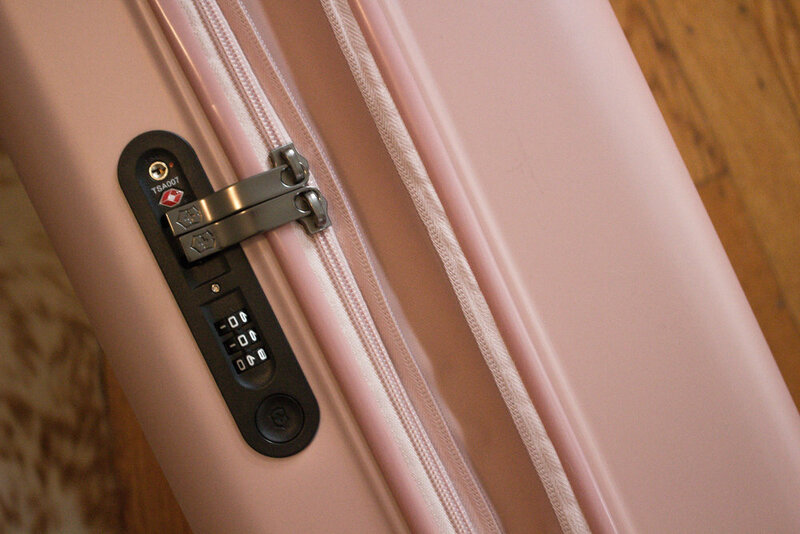 The design of this suitcase comes with smart packing solutions such as divider walls. It's easy to organize everything and pack up neatly. 4. It comes with a lock and Access Lock Combination Recovery Program. You can safely lock this bag and if you forget the code, Victorinox offers a recovery program where you can simply log into your account and request an email that includes your combination. I don't know about you, but I love to go shopping when I'm on vacation. Unfortunately, I always end up struggling to fit everything into my suitcase on the way back! Well, problem solved. The Victorinox Etherius bag has an extendable zipper, so you can fit all our your souvenirs when you head home. Bonus: It also comes with a free matching iPhone case! > My first step is to always start packing the day before my trip by making a list of each day and potential activities I'm planning. 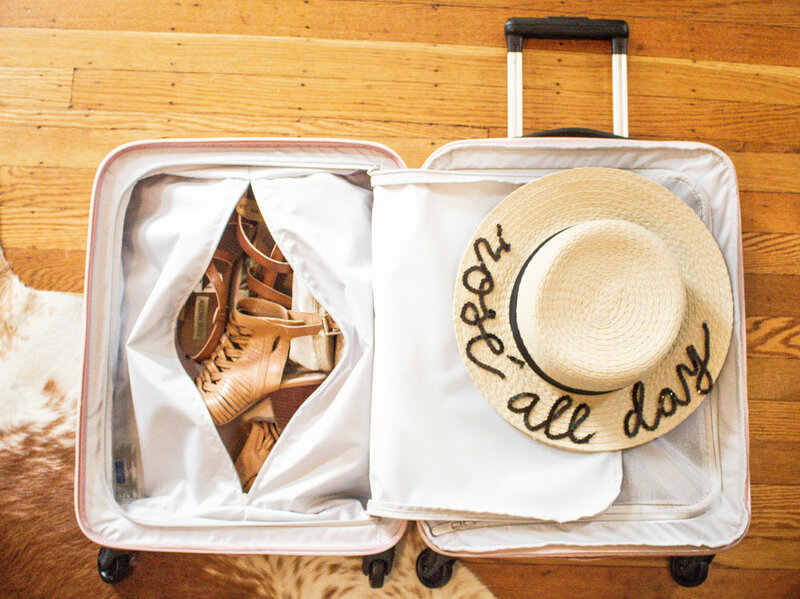 This strategy allows me to plan out outfits and avoid overpacking! > Next, I go through my closet and lay out everything I think I might want to wear. I usually lay out items I don't end up bringing, but I like to review all of the options before eliminating anything. > Then I choose my jewelry and accessories. Since these are small, I'm comfortable bringing a lot of options. I find that accessories can completely change an outfit, so rather than bringing more clothes, I'll save a lot of space by accessorizing. > When I'm ready to fill my suitcase, I pack shoes on one side then start folding my clothes on the other. I'll roll my clothes if I have a lot to pack, but if it's just for a weekend, folding does the trick. During this process, I eliminate any items that are too similar. For example, I usually don't need more than one pair of jeans if it's just a weekend trip! > I always wait until the day of my trip to pack beauty products and toiletry items. I go through my normal routine of getting ready and then only pack what I use. This helps me avoid packing too many products! As for make-up, I keep it simple but choose a few different lipstick colors. Lipsticks are my favorite way to take an outfit from day to night. > For more packing tips, check out our post on the 2 travel products that will change your life! This post was sponsored by Victorinox Swiss Army. As always, opinions are our own.